Your classic building blocks get the mobile gaming treatment in the Sick Bricks, the latest toy release from Spin Master. They are toys, and they are also collectibles, which make them a must-have for practically everybody! 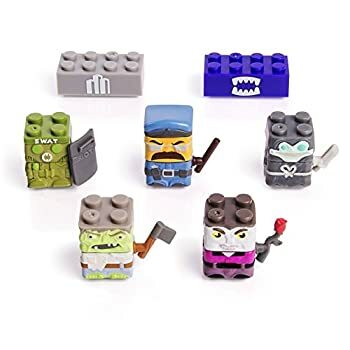 The Sick Bricks as available as individual figures, each selling for $2.50. Fortunately, Spin Master also sells them in packs, where two-packs may be purchased for $4. Get five figures in a pack, and you will pay only $9.00. There are also larger aliens and monsters as well as vehicles that may be purchased at prices ranging from $7.00 to $17.00. As mentioned earlier, the Sick Bricks are not just toys, but also collectibles. 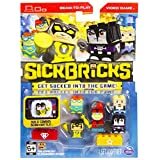 Kids that love collecting figures and characters will get a kick out of completing all characters from the Sick Bricks collection. Parents always turn to building blocks to facilitate the learning process for their children, and the Sick Bricks are better than your usual building blocks, since they are more interactive, thanks to the integration of mobile gaming to the gameplay. Harry Fangface. Vlad Von Vein. Smokey Burns. Officer Kuffowitz. Silent Shadow. These are only a few of the figures or characters that comprise the Sick Bricks line. Surprisingly, they each have their own personality, and that is thanks to the high quality design of the bricks. 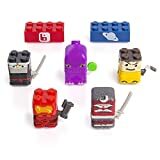 If your kids are imaginative enough, they can play around with the bricks, switching the building blocks around to come up with unique characters. But what truly caught our attention about the Sick Bricks is how the figures can be brought into the Sick City mobile game. In short, the physical toys are transformed into digital characters. Your goal: to save the Bricks’ home, Sick City, from attach by the evil Overlord Omega. Avid collectors are likely to look for more characters and figures, finding the current crop to be quite limited. Not to worry, though, because Spin Master looks set to release more and expand the line with more characters in the future. Spin Master products are always recognized for their high quality and great amount of detail. Are The Spin Master Sick Bricks Worth The Money? We appreciate how users have the option to purchase the pieces individually or in packs, and how they are reasonably priced. No doubt, there will be no regrets when buying these bricks. 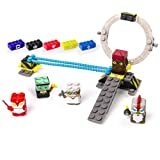 Where Can I Buy The Spin Master Sick Bricks? Head on over to Spin Master’s website to order your Sick Bricks today. But you can also look for them in the stores of various retailers – both online and brick-and-mortar stores. Among online marketplaces, Amazon has pride of place for having very good customer support, and how generous it is with perks and deals that will favor customers. One of them is the Free Shipping, which basically saves buyers from paying for their orders to be delivered to them. Get these one of a kind building bricks and make the most of the experience by turning them into digital toys!